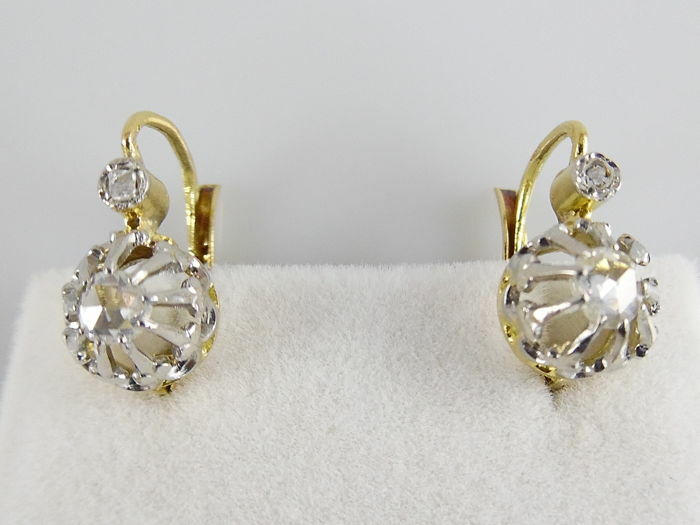 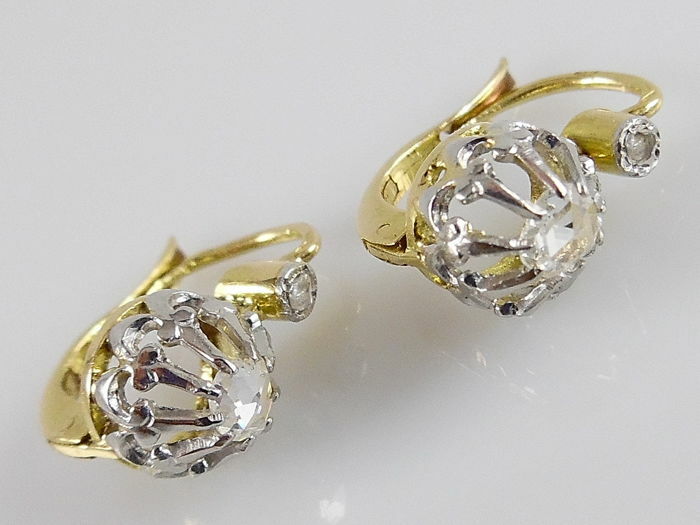 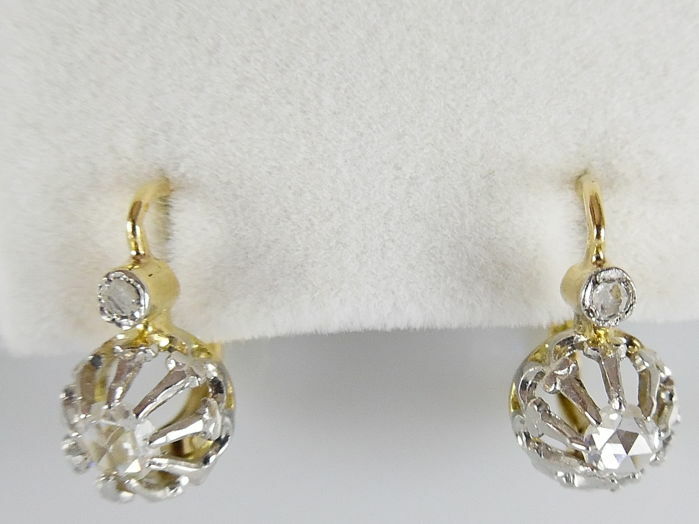 These yellow gold antique earrings have a platinum setting for the rose diamonds. 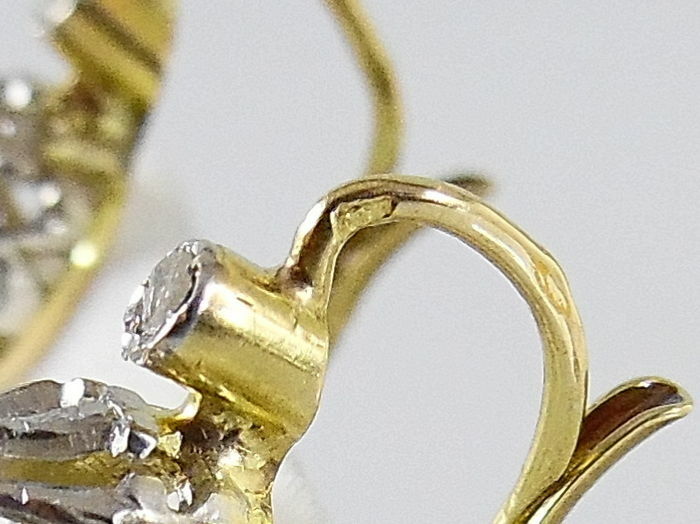 The bottom rosette is 7 mm in diameter. 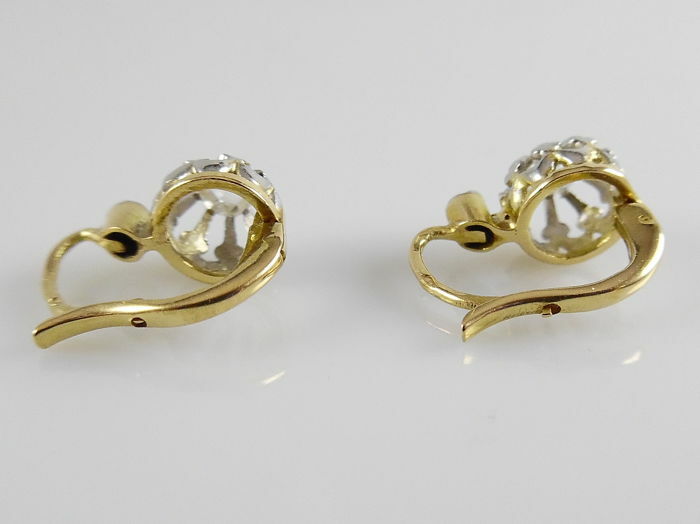 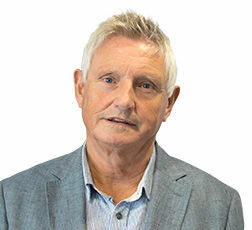 The earrings close well. 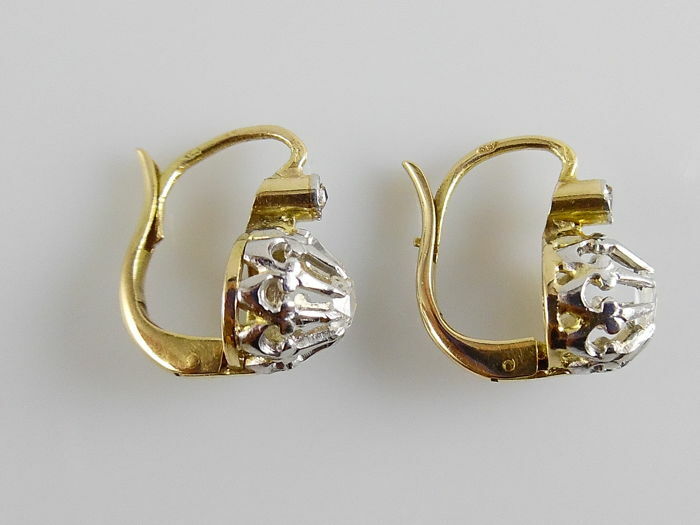 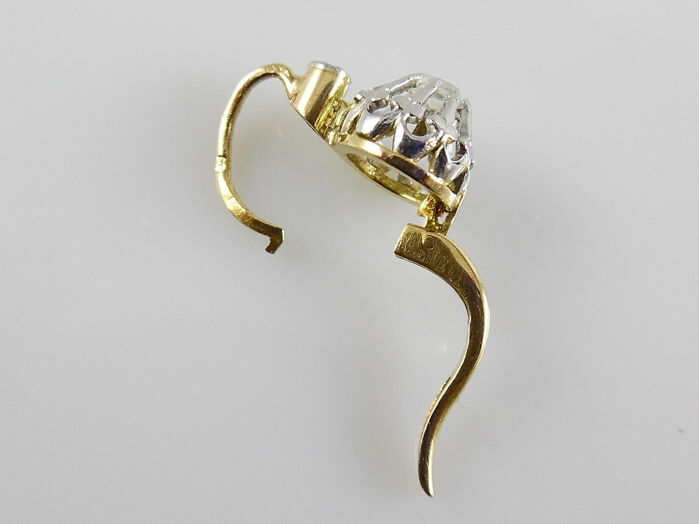 The earrings are marked with the so-called horse head: the French hallmark for 18 kt gold used between 1838 and 1919. 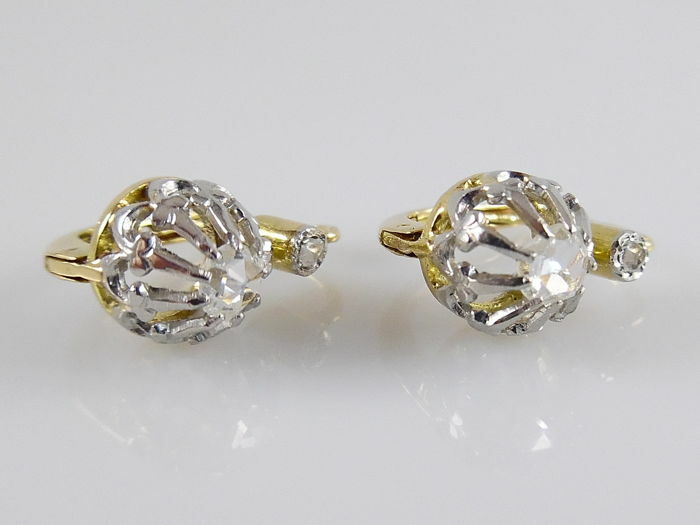 This item of jewellery is set with 4 clear rose cut diamonds: 2 x 3.5 mm and 2 x 1.9 mm. 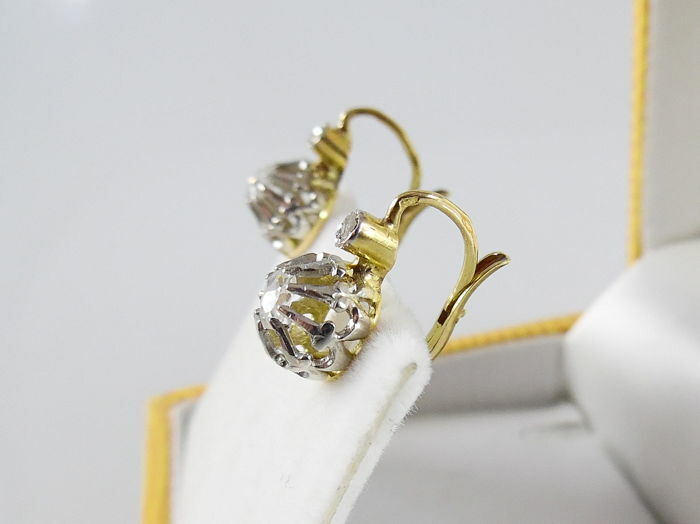 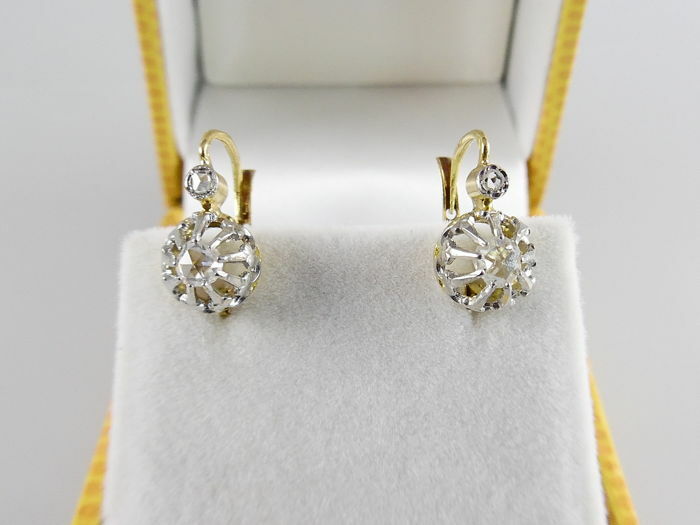 These earrings will be shipped registered and insured in a luxurious jewellery box.